I’ve been saying for years now that the GORUCK GR1 is the best backpack you can buy. But is it still? After testing a lot of backpacks over the years, and continually buying new ones — both inexpensive and bank breaking — I have yet to find a better backpack than the GR1. This post isn’t another review, but rather a reflection of why the GR1 still holds its ground to this day. It has admittedly been a while since the GR1 was an everyday bag for me, but it is still my go to bag when I travel — be it weekend or longer. I emptied my closet the other day and pulled out a dozen or so backpacks, and started giving them away to friends. The GR1 is honestly just too perfect and thus I don’t need these other packs. The only recent contender to the thrown was the Outlier Ultrahigh Quadzip. Which is a phenomenally good backpack, but after a lot of thinking, testing, and consideration it can’t replace the GR1 both for me or my recommendations. 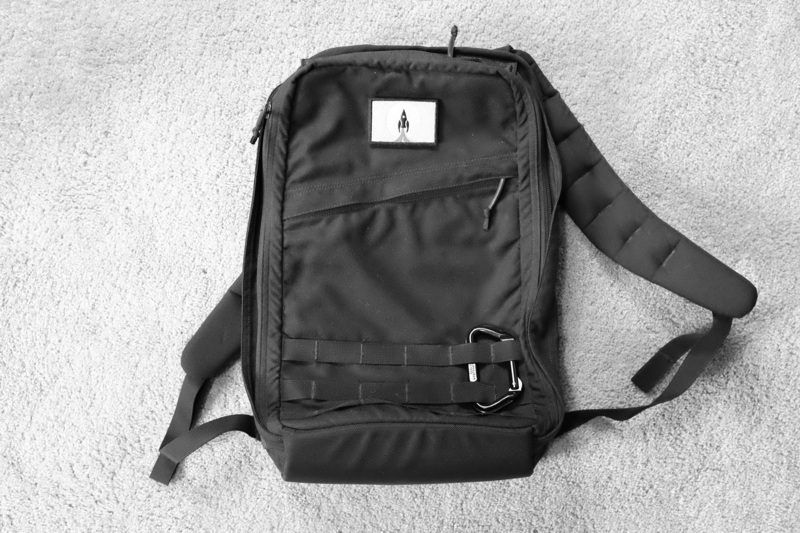 When you first get a GR1 (or any GORUCK for that matter) the entire bag is stiff, not just the straps, and over time and with use the entire bag begins to soften. As part of this process the straps themselves start to form to your body — assuming you are the one using it. Each time I put on my close to 5 year old GR1, it feels like putting on a glove. It fits so comfortably and has formed so well to my body. Every other bag I have tried never gets this type of fit to it. The Outlier is an amazing bag, but the straps feel just as they did on day one — and that’s likely how they will always be. This isn’t the same type of wear that I talked about with the Filson — this is foam easing into place. It’s hard to say, but I would guess most people will have the straps comfortably broken in within a few months (with regular use) and longer to get the rest of the bag feeling a bit more floppy. This is where the GR1 consistently and handily beats everything else. Take any of the Incase bags, Minaal’s, or the Aer’s, none of them can transform like the GR1. On one day the GR1 can go from a travel bag, to a tech bag, to a bag you hike and crawl through the mud with. It’s equally capable at all the tasks I’ve thrown at it. Yes, it’s heavy and lacks a ton of padding, but the laptop compartment is safe for your gear. It lacks pockets, but it is that lack of pockets which allows it to do so very much. I’ve tested enough bags now to know that versatility is insanely important when you want a bag you are going to use a lot. And when you pay $300 for a backpack, you want to be able to use it a lot. The Incase ICON is actually a bigger pack, but even with how light I pack, it is not a bag I can travel with. The Aer Travel Pack can hold about as much, maybe a touch more, than my GR1, yet it’s not a bag I’d ever want to use outside of overnight travel as it carries too large. Or the Outlier Quadzip, which is smaller, and just as barren in regards to pockets — but it doesn’t make a great bag for travel or mud. For one, it’s a noisy bag because of the material, and thus not great for hiking. For travel it is so thin that what is in your bag can deform the look of the bag and just look silly. While the Quadzip comes tantalizingly close, the GR1 bests it. If I had to choose just one bag to use for everything it is a 34L GR2. If I could have two, the GR1 and 40L GR2 (as I have) are my two choices. I couldn’t take every trip with the GR1, otherwise it would be my “only bag” choice. But good lord, does it transform to whatever I need. There’s only one other company’s products who I have used and thought that this bag may out live me: Filson. GORUCK and Filson are the only two and I’ve tested a ton of bags over the years. It’s not only the quality of the materials, but also the care of the stitching, and overall design and construction of the bag. This matters more than just longevity to me because it tells me that the bag will never fail no matter where I take it. I can travel to wherever, and not worry that a strap will break and leave me needing a new bag. In short: I can trust this bag. I bought my GR1 sometime in 2011-12 timeframe and reviewed it in late 2012. It is without a doubt the best backpack I have ever used and continue to use. I have it with me now, as I type this, from the Washington coast where we took a weekend away. The only thing I can say, is that I am thinking about buying another GR1 in Ranger Green, because I can’t imagine that would be a bad decision. So when you wonder: is the GR1 still the best backpack to buy to use for everything, know that the answer is a resounding: yep. Just go buy one before I buy them all. After roughly 5 years, the GR1 still stands as the best backpack you can buy.